Uncategorized Category Archives — Page 2 of 2 — Maryland DUI Lawyer Blog Published by Maryland DUI Attorneys — Goldstein & Stamm, P.A. 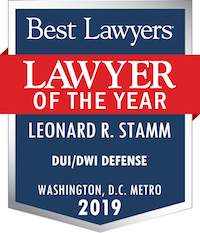 On Thursday, October 16, 2014, Leonard Stamm received from the Maryland Bar Foundation, the prestigious Legal Excellence Award for Advancement of Professional Competence. He was nominated by Pilar Nichols. Other award recipients were: Steven P. Lemmey Legal Excellence Award for the Advancement of Public Service Responsibility to Steven P. Lemmey (posthumously, accepted by Ms. Lemmey), nominated by Judge Glenn Harrell; Legal Excellence Award for the Advancement of Public Understanding of the Law to The Honorable Pamila J. Brown, nominated by Judge Barbara Kerr Howe and Rick Miller; Legal Excellence Award for the Advancement of Unpopular Causes, to Professor Michael Millemann, nominated by Judge Dennis Sweeney; and, Legal Excellence Award for the Advancement of the Rights of the Disadvantaged, to the Homeless Persons Representation Project (accepted by Antonia Fasanelli), nominated by Natalie McSherry. 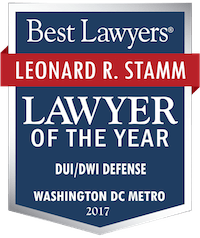 On May 1, 2013, Leonard Stamm was given the first annual Fred Bennett Zealous Advocacy Award by the Maryland Criminal Defense Attorney’s Association (MCDAA). This award will be given annually to the member of MCDAA who best exemplifies the qualities that Fred Warren Bennett possessed which made him a courageous litigator and tireless advocate for criminally accused individuals. Fred Warren Bennett was the former Federal Defender for Maryland (1980-1992), the Prince George=s County Public Defender (1978-1980), and a full-time Law Professor at Catholic University (1992-1997) before entering private practice in 1998. Among his many high profile clients were accused spies Ronald Pelton and John Walker and several men he represented after they had received death sentences. Fred was an expert on evidence, federal trial practice, and capital defense litigation. He won numerous awards, authored over 30 law related articles and lectured at many Maryland and national criminal defense seminars and was a mentor to a host of prominent Maryland criminal defense lawyers. Fred was incredibly forthright, a character, an incredibly zealous advocate, and a true legend in the Maryland criminal defense bar. Fred Bennett unexpectedly passed away on July 1, 2007. Did the December 16, 2011 Dunkirk, Calvert County DUI Roadblock violate the Fourth Amendment? A recent internet news story described a DUI roadblock or sobriety checkpoint in Dunkirk, Calvert County, where 1054 cars were stopped and one person was arrested for drunk driving. Four Arrests Made at Dunkirk Sobriety Checkpoint (other arrests were made but not for drunk driving). This would appear to have violated the Fourth Amendment under the rule announced in Michigan Dept. of State Police v. Sitz. In Sitz, the US Supreme Court applied a three-part balancing derived from earlier cases addressing random identification checks, random license checks, roving patrols, and checkpoints near the border. The three factors considered were: the state’s interest in enforcing the drunk driving laws; the extent to which the state’s interest was advanced by the checkpoint; and the level of intrusion to individuals stopped by police. In Sitz, the Supreme Court found that Michigan had a high interest in enforcing the drunk driving laws. The roadblock was found to be sufficiently selective in advancing that interest. The roadblock netted two arrests for 126 vehicles stopped. Expressed as a percentage, about 1.6% of the drivers passing through the checkpoint were arrested. The Court noted that in the border checkpoint case, a ratio of 0.5% illegal aliens detected to the number of vehicles stopped had been held to pass constitutional muster. As to the level of intrusion, the Court noted that the checkpoints were administered according to guidelines that reduced the discretion of officers in the field. The average delay of individual vehicles was 25 seconds. Thus the roadblock did not violate the Fourth Amendment. In the Dunkirk checkpoint, to the contrary, only one person was arrested of 1054 drivers, or an arrest to vehicle rate of under .1%. This is lower than the previously approved ratio, and would seem to establish that the Dunkirk checkpoint was ineffective, and therefore, in violation of the Fourth Amendment when the low effectiveness is balanced against the State’s interest and the level of intrusion.